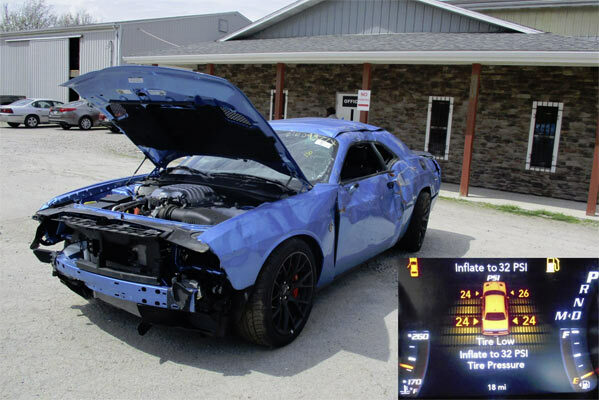 Mangled Dodge Challenger Hellcat With Only 18 Miles! 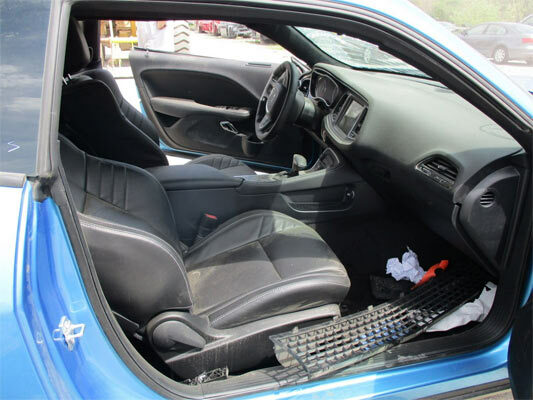 A trashed and mangled 2016 Dodge Challenger Hellcat in B5 blue has come up for sale on Facebook with only 18 miles on the odeometer. The car currently being displayed at Cleveland Power & Performance who specialize in custom vehicles. It’s a hard sight to look at seeing a Hellcat trashed in such a way as it is here with the car seemingly having done a barrel roll or two, losing its front-end and somewhat looks like nearly every panel having taken a beating. The interior looks to be still in good condition, with what looks like some of the entrails from the car being stored. The engine and the engine bay are probably in the best condition, housing that 6.2 L 707 HP V-8 engine will probably be the most salvageable items. As the car looks pretty hard hit all over, it’s most likely that it will be an engine and interior transplants to another vehicle, with the use of those tires and possible brakes and suspension. At the very least that Hellcat engine can go to a new home somewhere, but I don’t think the benefit of just 18 miles on the clock is going to do this car any favors in the long run. If you’re interested in the car or bits from it, check out Cleveland Power & Performance’s Facebook page for details. Related ItemsMangled Dodge Challenger Hellcat With Only 18 Miles! Old news, I saw this article two years ago.